If you’ve put your name down for this year’s Bristol half marathon then you’ve probably just found an email from the organisers in your inbox. It’s a reminder that there are four weeks to go before the race. Only four weeks! I hope you’re on target to hit the mileage that you need ready for the big day. I feel like I’ve – finally – got back into half marathon territory for the first time in quite a long time. Yesterday I managed a slow run of over 10 miles. As a result, the legs were a little stiff this morning, but at least no damage was done. Last year I never managed to get beyond 10 miles in training for the half. I started building up the miles too late. Given that we’ve got a couple more training weekends to go before this year’s race I should hopefully manage at least one 13 mile training run. It would be the first time I’ve managed that for three years. Every year one thing or another seems to get in the way. I’m crossing my fingers that doesn’t happen again! 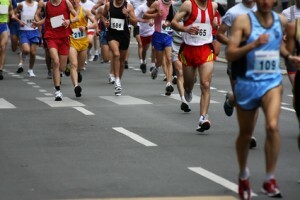 You don’t need to have run the full distance before the race in order to get round. 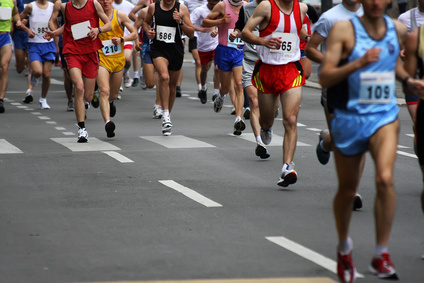 I know runners who have turned in some fast times for the half without ever running that far in training. But personally I always feel a bit more comfortable if I stand on the start line knowing that I’ve done it. Race day usually turns out to be quite hot. We’ve had some pretty rotten weather this year so it’s been difficult to do any acclimatisation. At least the race this year is in late September for a change, so maybe it won’t turn out to be sweltering. Who knows? Whether we’re faced with rain or sun, and whether you’re running the half for the first time or the fifteenth time, I hope you have a great day.